Indomitable Spirit 백절불굴 (Baekjul-Bool Gool, pronounced beckjool boolgool) Always stand up for your believes. Give 100% effort each day, in your training, and in daily life. 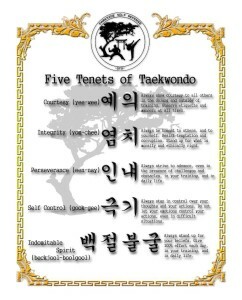 These 5 Tenets of Taekwondo are a guide for the student’s behavior in the dojang, and in all other areas of life. 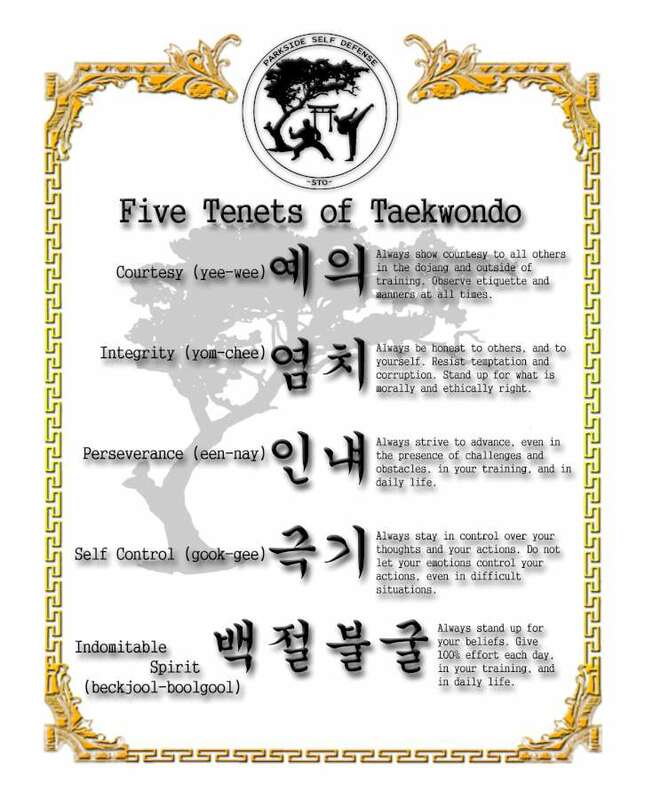 Students of Taekwondo built character through repetition and memorization of these tenets. The tenets are an integral part of our daily training. It is important that all Taekwondo students to take the time to think about how they will apply these tenets of to their daily lives.